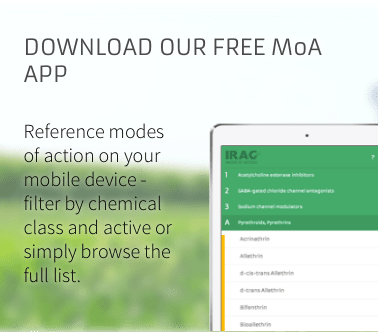 IRAC, in consultation with its Executive member companies and representatives, have developed a general one-page position statement that presents the IRAC view on the use of mixtures and their relevance to insecticide resistance management. This includes the crop and public health sectors but more specific guidance, relevant to each area, will be developed over time using the position statement as a starting point. Copies of the IRAC Position Statement can be download via this link or from links found on a number of the team pages (Executive, Crop, Public Health and Biotech).